Around 2,000 workers each day in the United States receive medical treatment as a result of eye trauma or other eye injuries sustained in the workplace, according to the National Institutes of Health. The Centers for Disease Control indicates that around 4 million workers experience damaging noise in the workplace each day and that 2 million of these workers are exposed to noise levels that create a high risk of hearing loss. 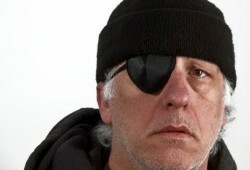 In Georgia, blindness is included among the injuries that are considered catastrophic, which means that workers may receive disability benefits as well as additional compensation beyond the 400 weeks of disability coverage. Those who suffer damage to their vision or hearing at work need to understand their legal rights to ensure they can make a successful work injury claim to get the benefits they deserve. At Parsons & Associate, P.C., our Atlanta workers’ compensation lawyers can help. Workplace injuries are a “leading cause of eye trauma, vision loss, disability and blindness,” the NIH reports. Flying or falling debris, such as bits of glass or metal that get into the eyes. Dust particles or other objects in the air that get into the eyes. Harmful radiation or exposure to light. Swinging objects, such as ropes, tools or tree limbs that are pulled into the eye. According to an OSHA Fact Sheet on eye protection in the workplace, around 70 percent of all accidents affecting the eye or vision result from falling or flying objects or sparks hitting the eye. The particles affecting the eyes were generally traveling faster than objects thrown by hand at the time when the injury occurred, and three-fifths of the objects that got into workers eyes were smaller than a pinhead. Exposure to dangerous chemicals was also cited by the Bureau of Labor Statistics as a leading cause of vision impairment, responsible for one-fifth of the eye injuries that occur in the workplace. These injuries can occur in any workplace, and workers across all industries are affected. However, those at the greatest risk of suffering an eye injury include plumbers, carpenters, mechanics, repairers and craft workers. One in 10 workers across all industries who suffer an eye injury need to miss work in order to recover, and between 10 and 20 percent of all work-related injuries to the eye result in temporary or permanent loss of vision. Hearing loss is also a common result of work injuries. As the CDC reports, there are around 23,000 cases of occupational hearing loss each year, and these hearing loss injuries account for 14 percent of all occupational illnesses. Guidelines designed to prevent hearing loss indicate that the noise level in a workplace should be controlled to a level below 85 dBA for eight hours in order to minimize the risk of hearing loss. A 3 dBA exchange rate is also advised, which means that each increase of 3 dBA doubles the amount of the noise the worker experiences and halves the recommended maximum time that the worker should be exposed to the noise. Unfortunately, noise guidelines are routinely violated, and thousands of workers experience damage that results in partial or total hearing loss. This typically occurs over time, and those in the manufacturing sector are at the greatest risk of developing hearing loss related to their jobs. In fact, 82 percent of all occupational hearing loss cases occur in the manufacturing sector. When you suffer an injury at work that affects your hearing or your vision, you could have the right to make a workers’ compensation claim. Workers’ compensation is an exclusive remedy system, which means it is usually the only way that you can obtain compensation from your employer for work injuries. You could, however, be able to file a personal injury lawsuit against any third parties who were responsible for your vision or hearing loss. When you make a workers’ compensation claim, you must show that your injury was directly caused by your performance of work duties. In other words, you have to make a clear connection between your job and your vision or hearing loss. Provided you can show that your injury resulted from your job, you could be entitled to benefits regardless of whether your employer was negligent. The benefits you could receive include payment of all medical costs arising from your injuries, as well as disability benefits. In general, injured workers’ are allowed to recover disability benefits equal to two-thirds of their weekly wages up to $500 for up to 400 weeks. However, for those suffering from a catastrophic injury such as complete vision loss, additional work injury benefits could be available. For help making a workers’ compensation claim to get the benefits you deserve or for assistance in resolving problems such as a denial of benefits, talk to an experienced Atlanta work injury lawyer at Parsons & Associates, P.C. To learn more about how we can assist you, contact us now at 770-422-9000, or fill out our online contact form for a free and confidential claim review. We return calls within 24 hours from our offices in Atlanta and Savannah.